Why not celebrate your party in style with the 12ft x 18ft Celebrations Bounce n Slide Bouncy Castle. 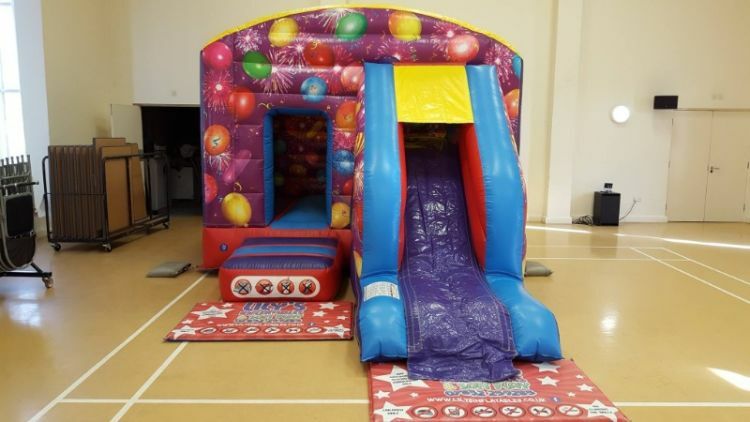 Being only 10ft high, the 12ft x 18ft Celebrations Bounce n Slide Bouncy Castle is suitable for both Indoor and Outdoor venues. check out our package deals.